The Knights of Columbus, the Rev. Thomas F. Bennett Council No. 14318 Washington Depot has announced the recipients of its scholarship for students entering college this fall. 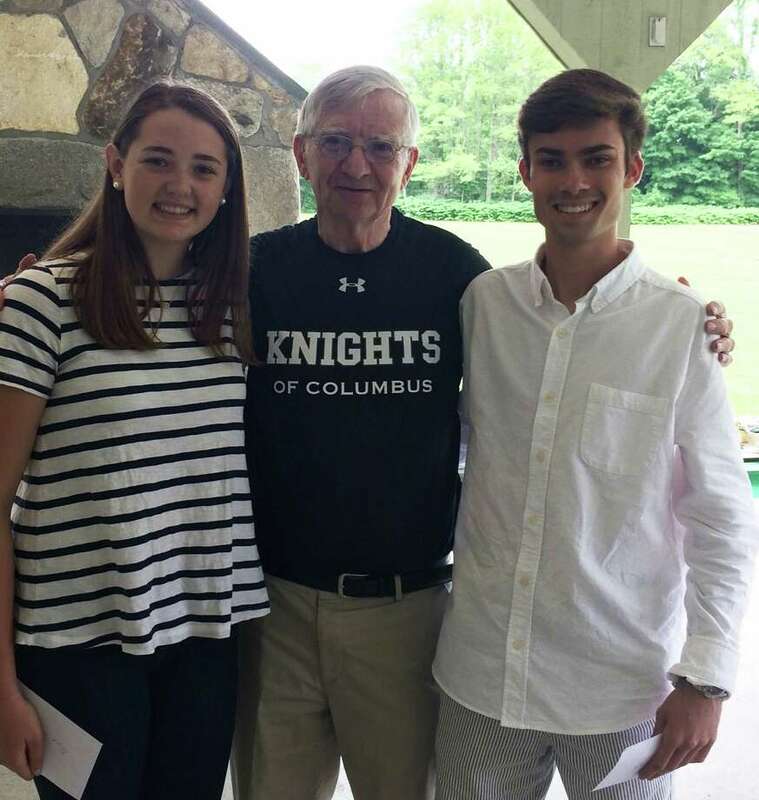 Scholarship Chairman David DeWitt made the announcement at the OLPH parish picnic June 10. Recipients are Olivia Moore, left, and Alexander Michalek, right, who are shown above with DeWitt. Olivia, a graduate of Shepaug Valley School in Washington, will attend Western Connecticut State University, where she will major in health promotion studies. She is the daughter of Sandra and Daniel Moore of New Preston. Alexander, a graduate of New Milford High School, will attend Sacred Heart University to pursue a career in marketing. He is the song of Sharon and Gregory Michalek of New Milford.